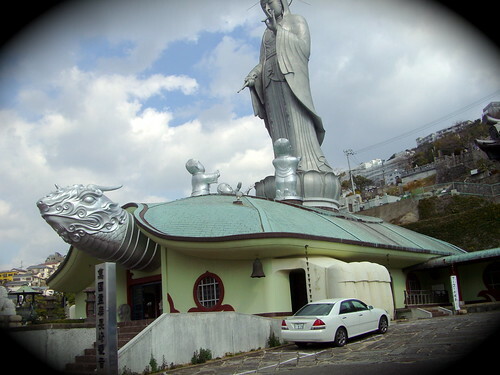 This unusual turtle shaped building on a hillside in Nagasaki is the Kannon Universal Temple also known as Fukusai-ji . 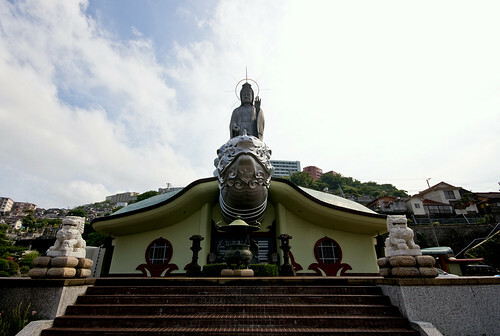 It depicts an 18 metre tall deity Kannon (Goddess of Mercy) astride a giant turtle. 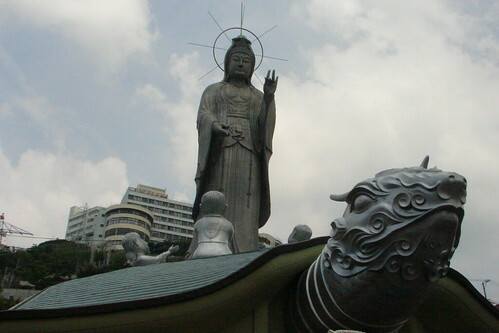 Kannon is actually a Chinese Buddhist "enlightenment-being" Guan Yin which in Japanese translates into Kannon. 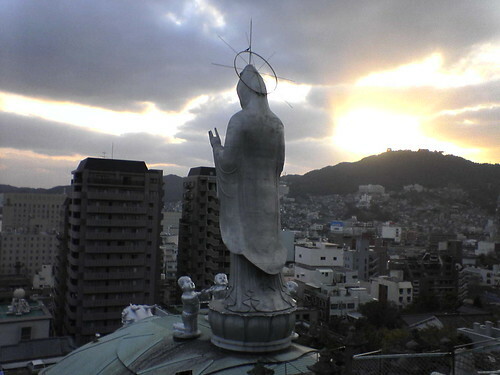 There are many temples in Japan devoted to her. Incidentlly the famous Japanese company Canon Inc. was named after this deity and was originally known as Kwanon, Inc.
A temple built by Chinese existed at this site circa 1628 and was destroyed in 1945 due to the fires started by the Atom bomb. 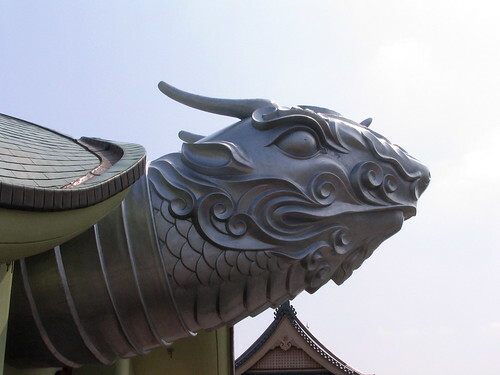 A new temple in the shape of turtle was built again in 1979 at the original site but is of totally different design and is dedicated to the war dead and A-bomb victims. The temple bell tolls at everyday at 11:02 AM - the time of explosion of the the A-bomb. 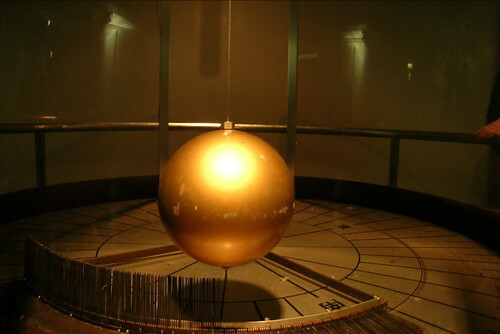 An interesting feature of the new temple is a Foucault pendulum, an instrument used to demonstrate the rotation of the earth. It hangs from the inside of deity's head and goes down to the basement of the building. The pendulum symbolizes eternal peace like earth's perpetual movement and rotation. At the time of its installation it was the 3rd largest Foucault's pendulum after the pendulums at the Pantheon, Paris and Saint Isaac's Cathedral, Saint Petersburg. After the removal of later in 1990s the pendulum at Nagasaki is now the second largest in the World. Reportedly it is also the only Foucault pendulum to be found in an active place of worship.